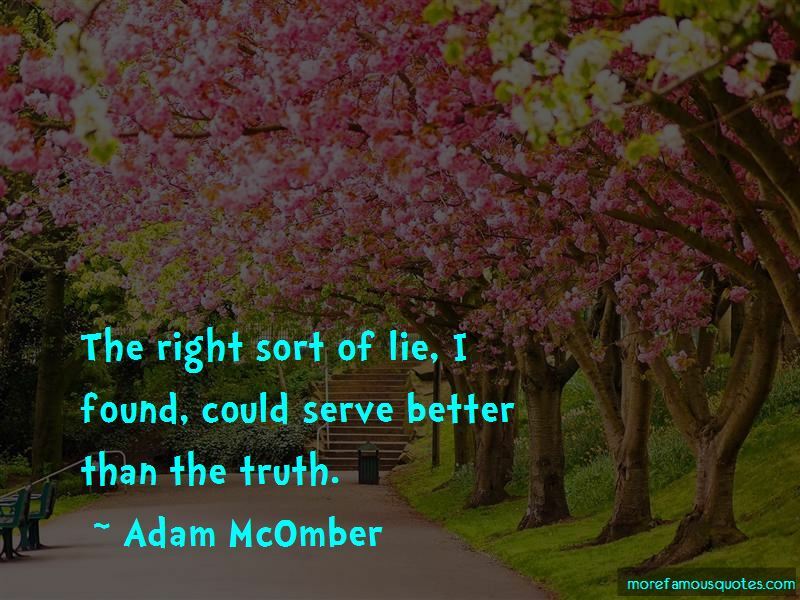 Enjoy the top 9 famous quotes, sayings and quotations by Adam McOmber. I had no lock that could be picked. 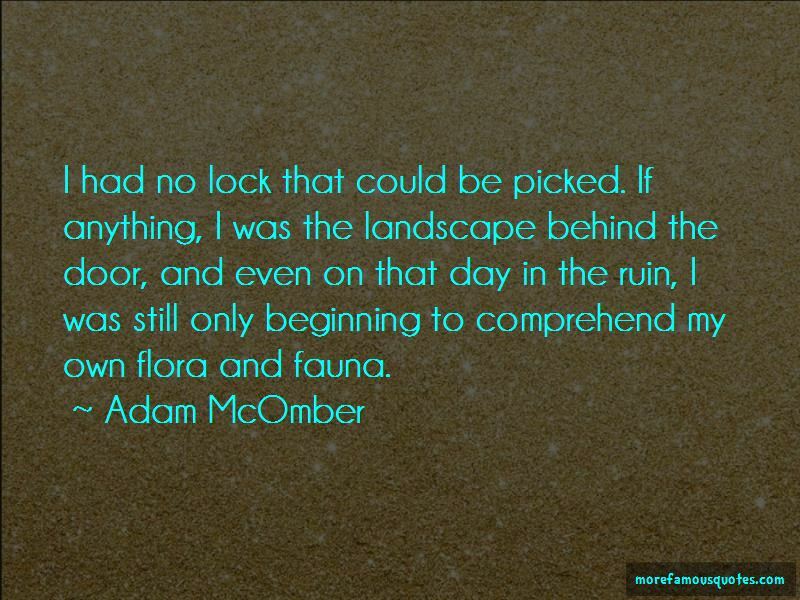 If anything, I was the landscape behind the door, and even on that day in the ruin, I was still only beginning to comprehend my own flora and fauna. 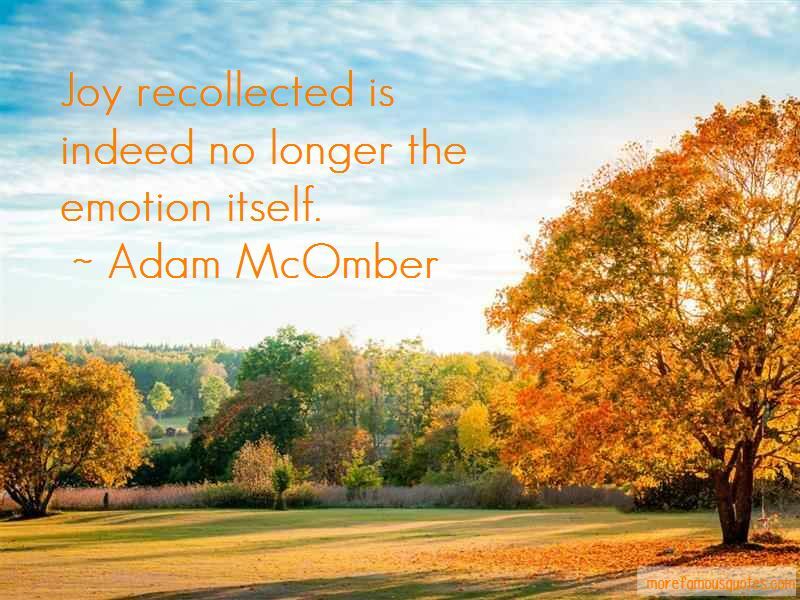 Want to see more pictures of Adam McOmber quotes? 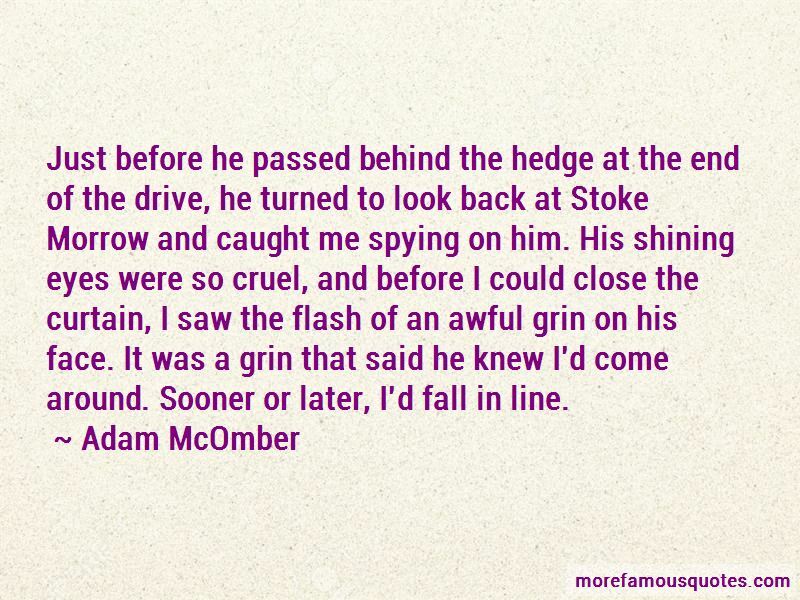 Click on image of Adam McOmber quotes to view full size.